Zumba is a fitness class in which a group of students follows Latin dance steps and popular world music for fitness purposes. This is a very popular fitness activity which is especially popular among women. Being involved in zumba classes doesn’t require some special equipment at least not when it comes to clothing. The only “special” thing you need is a pair of shoes that are suitable for zumba. There is no need to worry about this because as we said zumba is quite popular these days and many shoe manufacturers have come up with great models used for dance and zumba classes. One of these companies is Nike. This American company founded in 1964, is well-known for the footwear, accessories, equipment and apparel it offers on the market. What makes Nike different from any other footwear companies is the constant investment in new technologies and designs used in their products. We can freely say that they are leaders in this field and they also set the new trends in almost every category of athletic shoes. When we are talking about nike shoes for zumba we should mention that there is more than one good choice. The following is a list of the best nike shoes for zumba we have prepared based on their quality and properties. As the name suggests, these shoes are made for music and dancing. It appears that the Musique series is quite popular among zumba dancers and this is the reason why Nike is introducing new models almost every year. These nike zumba sneakers are made from synthetic materials for extra durability and flexibility. Natural materials usually can’t provide the same level of flexibility as synthetic materials and this is very important if you are involved in intense dancing classes like zumba classes. The nike musique zumba shoes have a neat, classic design that will match any outfit you are planning to wear on your next zumba class. 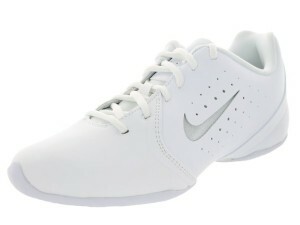 They come in white color and have the Nike logo in red color. Truth to be told, zumba classes are usually full of people who wear clothes that come in vivid colors. Obviously, you can match these clothes with white shoes, but it would be better to use footwear in vivid colors too. Although we have chosen the men’s version of this model, the characteristics apply for the women’s model too. They are made from mesh that provides good air flow inside the shoe. They also have rubber non-slip sole which allows you to dance and exercise freely without worrying about injuries. They are also lightweight. The cushioning is very flexible thanks to the soft IU midsole. 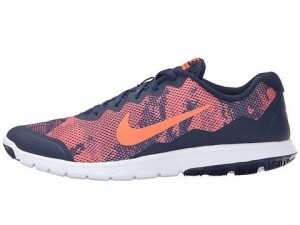 Nike Flex Experience Run 4 features minimalistic rubber outsole. 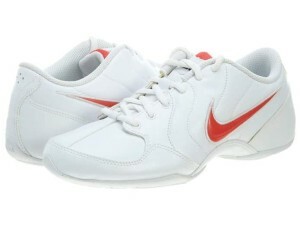 If you need shoes for zumba nike model that you can use in many other occasions, you should check this model. First of all, they are made from mesh and synthetic which as we said before are the best materials for zumba shoes. Even though they are white, they have a color slide cards that will allow you to get more personalized look. They also have rubber sole and outsole that includes technology that will make you feel stable and safe on any type of surface. The special phylon midsole provides lightweight and soft cushioning for the long zumba dance classes you will get. Finally, thanks to the quality upper, you will get perfect fit regardless of the type of feet.